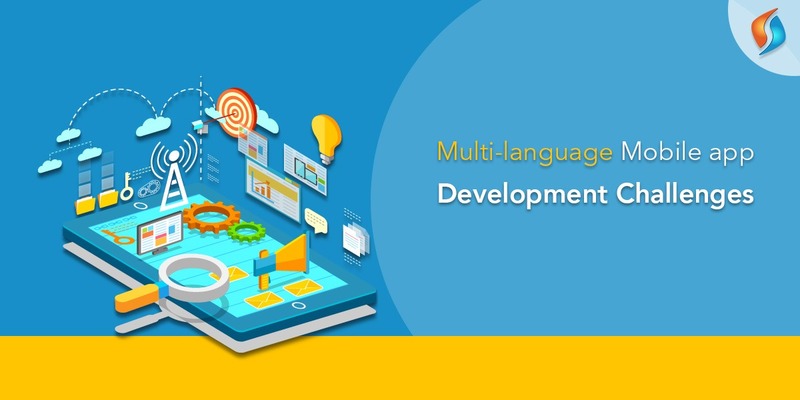 Multi-language mobile app development is a challenge in itself for a mobile application development company that needs to be dealt with extreme care and sophistication. It has, after all, the fortunes of a company or a business tied to it. Today, no longer it is like when business had to deal with the audience living in the vicinity of the company. The people who would interact with it would thoroughly understand what it is all about, whether they would get what they need. It is because earlier the language was natural for such audience to relate with. Now the game is different; the business has expanded globally, catering to the needs of millions of people spread across the globe. But the challenge associated with doing global business is lack of understandability between the company and the consumers of its services and products emanating from the differences in the language of people and that of the company. It emerged as the major roadblock for global business, a deterrent to the profitability of a company. Out of the crises, a need arose for the multi-language mobile application development so that people can interact with a business in the local language. Not everyone in the world is well versed in the English language that has made it increasingly important for the mobile app development solutions that can virtually, at the least, support every significant language of the world. In short, the need of the hour is the development of the multilingual mobile application development, which, however, is not free from the challenges. So, what precisely is the role of the multilingual app in the growth of the business, and why should you develop a multilingual app for your business in the first place? It is the common question many businesses in today`s world are asking mobile application development company. Well, if an app can support more than one language, it surely has to give you some advantage. Foremost of which is the ability to connect with people who speak a different language. This gives more exposure to the potential market and direct access to a larger pool of target audience. When customers have the content of the app in a local language, they understand your business better. And thus, can better relate to your business, that would add to your profits significantly. With that said, let`s now move to the main topic, multi-language mobile app development challenges. It is time we take them one by one to understand them better to overcome these challenges more efficiently. When I say translating a language, many people wonder that how does it pose a challenge, after all, it is so easy a job. But that is not the case. It is a very complex process because you have to take care of the expressions, manners and exact values of the language into which you translate the contents of your app. When the app is in the local language, it enhances the user experience by making it more personal culturally and technically as well. The machine learning consulting has offered some relief by way of translating content into any language swift and in bulk, but it is not the complete solution. It lacks the creative touch of the human translation and appears superficial and lacking in coherence that confuses the user. That is why you`ll need an expert human translator to do the job for you. But that can be challenging because a human translation is a time-consuming process. And more so, costs you a hefty sum of money. With the change in geographic location, it is not only the language that changes. But also the data and time, flavors and tastes, cultures and needs, everything with it changes. When developing a multilingual app, a mobile application development company have to incorporate all these features, too. This gives it local appearance regarding the language. The design of the app has to be flexible, dynamic and very adaptive. It is because one of the challenges with the multi-language mobile app development is that different languages occupy different spaces. The space English could fit into; maybe the Chinese won`t. To make your design expand with the expansion of the target language is the challenge that demands most of the attention of a mobility service provider. You don`t have every language written in the same style or the same direction, and when you translate the content, with it the very look of the app has to change. That`s why an adaptive design is must, as there is no scope for distortion after all. After overcoming these challenges, the next big thing to consider is the context of your app. It is important to thoroughly explain the background to the translator. It is because only then he can translate the content of your app not out of context. Because otherwise, people would not be able to relate to it. The context is a must, and it should show up in the translation. While writing the language of the app don`t forget to include the code of the country, date and time format specific to that country code, regional symbols that conform to the religion, culture, and tradition of the target country. It would help you get access to the market and make your business one of them. This is important so that people there could connect with it as if t were their own. We provide the best mobile app development in India! In short, there is no denying the fact that a multilingual mobile app development does make your business genuinely global. But you should not ignore the challenges I have specified above. With the help of IT outsourcing services of a good mobile application development company, you overcome them first, and then leap into the new potential markets to reap in its untapped benefits and strengthen your market presence globally. It is the game you need to play seriously if you desire to win. If you, too, need a multilingual mobile app for your business, Signity Solutions is your go-for destiny to get a fully functional multi-language mobile app with all the features discussed above efficiently incorporated. It is the mobile application development company of high reputation in the domain. So join hands with Signity Solutions and see your business soar to new heights with our multilingual mobile app development solutions.